WANT TO BE AN AU PAIR? WANT TO BE A HOST FAMILY? All over New Zealand you’ll find lots of volunteering opportunities, from helping out at the SPCA to spending time in soup kitchens. However we’re going to focus on conservation volunteer work to help preserve and conserve New Zealand’s unique flora and fauna. For a once in a lifetime experience why not offer your time and skills to the New Zealand Department of Conservation (DOC) and participate in one of the many volunteer schemes around the country. Unlike some volunteer options you don’t have to pay to volunteer with the DOC but in exchange you often get basic accommodation. In some circumstances you may be offered assistance with food and travel. What is the New Zealand Department of Conservation (DOC)? “We are the government agency charged with conserving New Zealand’s natural and historic heritage. Our vision is for New Zealand to be the greatest living space on Earth. Many of the schemes allow you access to some remote parts of New Zealand that are normally off limits to the general public. Some allow you to stick around in some of your favourite places in New Zealand. Some schemes offer you the chance to give back and help support the environment for a day. Whether it be a day experience, a week long experience or a more specific form of conservation that you’re after, there is an option for everyone. Projects include wildlife, land restoration and assisting with tracking and research projects. If you’re seriously interested in conservation and gaining some valuable experience then there are projects available that you would need to apply for in advance. Volunteers are needed on this bird sanctuary island all year round for one week stints. Although actual birding conservation isn’t available you still spend a week within a bird sanctuary waking up and going to sleep with some of New Zealand’s, and the world’s, rarest birds. During your stay on Tiritiri Matangi Island you’ll help with weeding, cleaning and general maintenance. Your aim is to help keep Tiritiri Matangi Island pest free. Preference is given to New Zealand residents however if this is something you really want to get involved with there’s no harm in applying. Apply here. Hut wardens are needed all over the country. You normally need to be able to spare a minimum of 7 nights and being an experienced tramper is beneficial. Your general duties include making sure the hut is welcoming to all the trampers passing through. So a bit of cleaning is required and you may need to do a little bit of maintenance work too. Depending on where you become a hut warden means your duties will vary. For example in some locations you’ll need to have a first aid certificate. In others you’ll need to know the area well in order to provide information to the trampers. 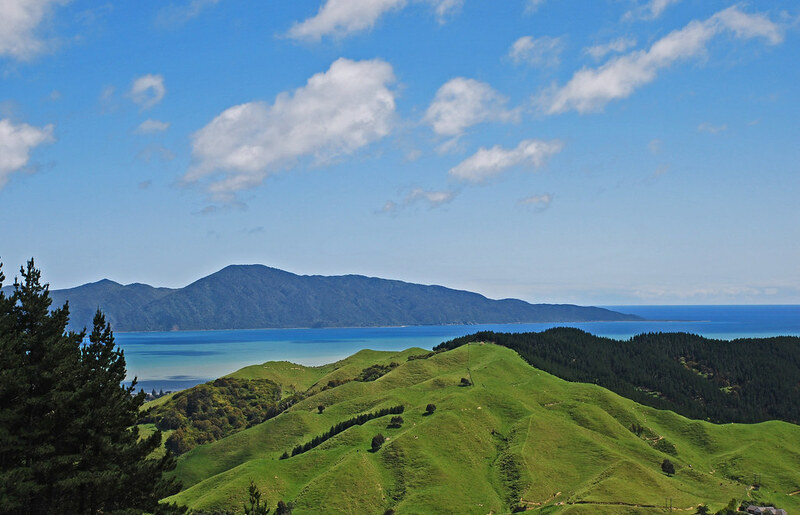 Located on the East Coast in Te Urewera on the shores of Lake Waikearemoana this is an opportunity to get involved with biodiversity monitoring. Or you could help with track, hut and campground maintenance. If that’s not your thing then help out with vegetation removal. You’ll have accommodation provided for the length of your stay. For all these opportunities they’d like you to volunteer from between 2 to 12 weeks. This is a great option for a couple who wants to get away somewhere quiet but also get close to nature. There are fairly regular beach clean ups organised all over the country. Find out when a local beach near you has an organised clean up day and get out there for a few hours. Pick up all that nasty rubbish that others left behind. It’s a nice way to spend a few hours on a beach knowing that you’re doing your bit. This is just a sample of some of the great volunteering opportunities there are in New Zealand. Explore New Zealand away from the tourist trail and try something new and different whilst giving back. Whether you need a couple of cheap weeks during your travels or you’d love to get some conservation experience behind you, volunteering with the DOC is a great place to start. If you are heading to New Zealand on a bit of a long trip and fancy getting away from the same old backpacker story why not get a ‘job’ with a difference and do some volunteer work somewhere for a week. Get off the beaten track to experience parts of New Zealand that nearly all backpackers miss out on. Of course if you want paid work while in New Zealand check out our current job listings.